Well, this is difficult. 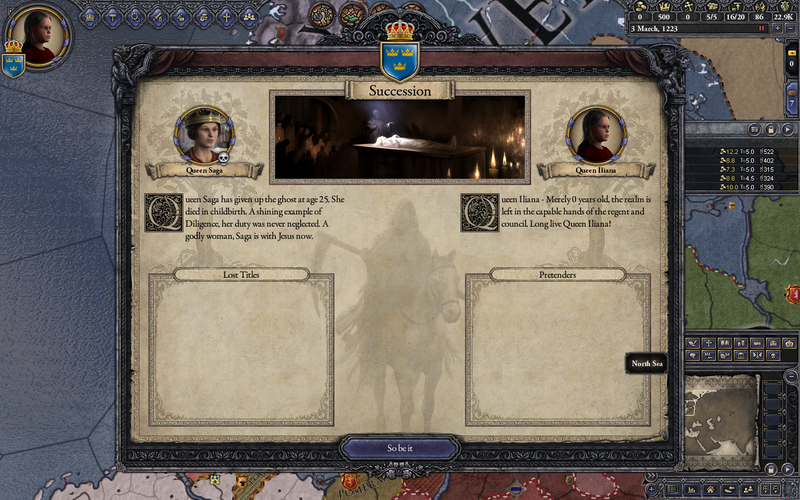 My first queen, betrothed to her 12-year-old cousin. 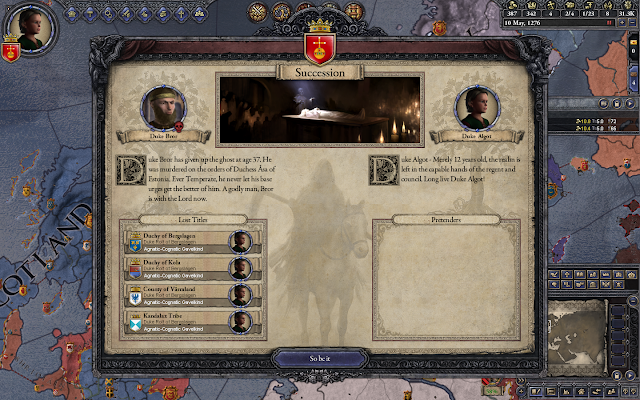 My cousin, Prince Bror, is the heir for now. Let's see what happens next. And...my weakness means I have to accept autonomous vassals. I have enough of a treasury to put down any attempts to disrupt my rule directly, but I think I will save it for emergencies. And...there it is. 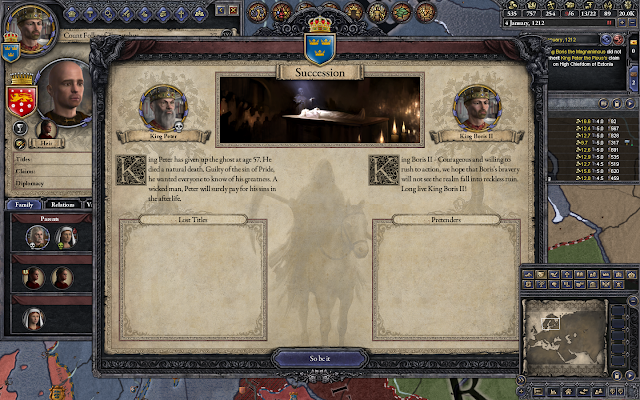 The King of Denmark thinks he sees weakness, and invades. And...I am maimed and captured in battle. And...my regent accepted the peace offer, losing a province. And...a Norwegian duke sees weakness and attacks, just after I let my armies stand down. And...Duchess Marta tries to claim the throne for herself. At least since the duke was claiming one of Marta's territories, that ends the previous war. 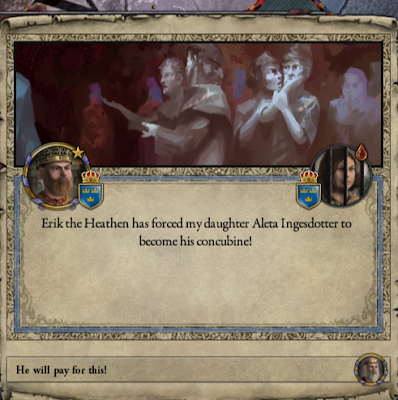 And...I win the war while pregnant. Things may be turning around.